PHOTOKINA 2016, COLOGNE, GERMANY, September 6, 2016—FUJIFILM Corporation (President: Kenji Sukeno) is pleased to announce that the company will be participating in Photokina 2016, the world's largest trade fair for the photographic and imaging industries, held in Cologne, Germany on September 20-25, 2016. 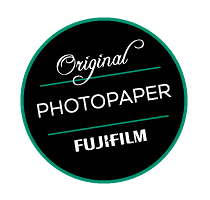 Fujifilm's corporate slogan “Value from Innovation” will also serve as the company's Photokina 2016 exhibition slogan, and we will be exhibiting products and solutions from a wide range of photographic and imaging fields—from input through to output—created with Fujifilm's proprietary and innovative technologies that offer new value. Fujifilm's exhibition will include a Touch & Try Corner for our X Series of premium mirrorless cameras, never-before-seen super enlarged silver halide prints of images captured with our X Series cameras, and an impressive gallery featuring silver halide prints of works created by X-Photographers. 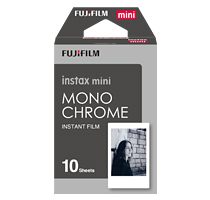 There will also be displays of the fun and enjoyment to be had with instant photos, the immersive photo and brand experience concept store Wonder Photo Shop, as well as a range of products and services that only a company with the technological prowess and wealth of experience of Fujifilm is able to offer. Staff at our Touch & Try Corner look forward to welcoming all visitors to come and try out our products and services for themselves. This corner will feature the FUJIFILM X-Pro2 which was released this spring, the flagship model FUJIFILM X-T2 which is scheduled for release in September, and the FUJIFILM X-A3 which was announced on August 25 this year. 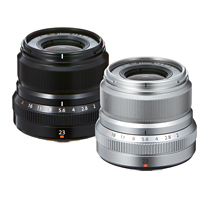 Moreover, in addition to the compact, lightweight XF23mmF2 R WR lens, we have further enhanced our lineup of interchangeable lenses (from 15 to 23) and visitors will have the opportunity to try out our complete lineup for themselves. We look forward to welcoming visitors to experience Fujifilm's amazingly high image quality and color reproduction capabilities, and the resolving power of our FUJINON high quality lenses that are used by professionals throughout the world. A special stage has been set up to present a series of live talk shows by 16 professional photographers from seven countries around the world, active in such fields as fashion, documentaries, motor sports and nature photography. These “X-Photographers” will introduce some of their own photographic creations taken with X Series cameras, discuss their personal impressions of the various cameras, and explain the various benefits of Fujifilm's X Series digital cameras. In addition to presenting our wide range of camera variations, we will also showcase our lineup of peripheral accessories, which have been greatly enhanced in recent years. Visitors will be able to receive free of charge a range of variety prints of images taken with their smartphones or digital cameras including our Designer's Print and Shuffle Print services. 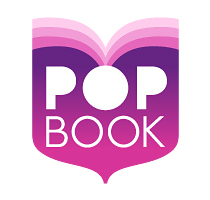 Through our collaborations with bookbinding machine manufacturer Imaging Solutions AG, we are able to offer high quality, lay flat Photobooks that leverage Fujifilm's high resolution and multi-surface silver halide prints. 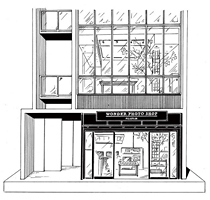 Fujifilm will leverage our WONDER PHOTO SHOP around the world to emphasize the value of photography and offer a wide range of products and services that respond to increasingly sophisticated customer requirements and technological advances. For gifiting is the one of top reason to order Photo book recently. Offering same-day service with high quality silver halide photo book will make a substantial contribution to the sales. Add color to someone's daily life by same-day personalized goods service. Easy on-site solution by Dye-sublimination system. The most easy way to integrate one`s favorite photo into art for one's home. Easy on-site solution by silver halide, Dye-sublimination and Wide Format system. To enhace simultaneous purchase, both print service and photo accessories by promoting ideal gift. Depart from the past, traditional normal print service, and strongly promote variety print service attracts smart phone generation. Compact, high-speed and high-performance printer realizes printing systems corresponding to retailers' needs. Showcasing our photobook line-ups with our unique technology and photopaper. Bring your images to load, selecting a period and wait for 5 minuets(minimum). Our image analysis technology, “Image Organizer” will help selecting the best images from a numerous image data and automatically creating high quality photobook. 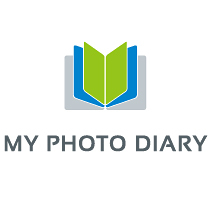 Daily memories are now easily organized with this easy-to-use software. FUJILM's premium photobook with a wide range of original photopaper and size. 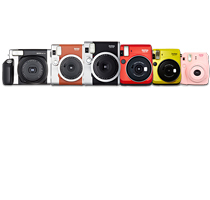 It will be one of the best outcomes for the collection of photos taken by high quality cameras especially the X-series. Cute and stylish square format photobook with the collection of 21 images. 10cm×10cm or 13cm×13cm photobook will be delivered after simple editing through free Smartphone APP. Showcasing new ideas for decorating your wall with photos with combination of our paper and frame line-ups. 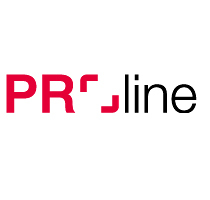 PRO line is a web based order taking software for wall décor, print and mobile cover. You can select variety of frame, paper type, materials to make full original product. You can also create a product from professional photos and Museum art. PhotoGenie Cross is a ground-breaking white label ecommerce solution that allows your brand's consumers to create, share and order personalized photo products across multiple devices and platforms. 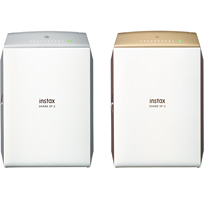 We will introduce our rich lineup of instax cameras that have been designed to suit all lifestyles and tastes. We will be setting up a print experience booth where visitors will be able to witness a wide variety of ways to enjoy instax. The booth will also feature a gallery with exhibits of instant photos taken by “instax photographers” from around the world. 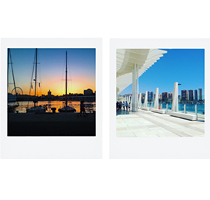 Bring your smartphone photos to life. Get your hands on the very latest range of Fujifilm X cameras and lenses in our dedicated Touch and Try area. We'll have all the latest models and plenty of things to shoot, so come along and see what's new. X-photographers will be demonstrating how they use X cameras in a studio environment. We are offering a range of free cleaning services for the exterior bodies of X cameras and lenses along with brief operation checks and firmware updates. 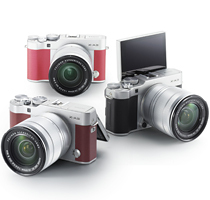 We will hold X cameras/lens loan service for free* at Fujifilm stand. * Please note that Identification and deposit will be required. Professional photographers* from around the globe will be sharing their own personal and professional experiences of using the Fujifilm X system. * A total of 16 photographers from seven different countries. An exhibition of the photographic works of our 'X-photographers'. Join the X-Photographers Dieter Hirt, Jens Burger, Peter Hawk, Charlene Winfred, and Flemming Bo Jensen on September 24th for a Photokina Photo Walk in beautiful Cologne! 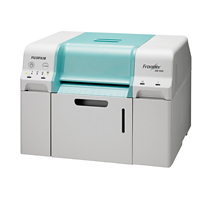 Fujifilm announces inkjet printer “Frontier DE100”— compact, high-speed and high-performance printer realizes printing systems responding to retailers' needs to offer high quality images with various sizes and paper surfaces. 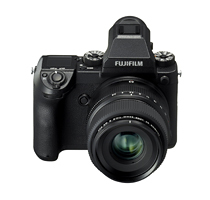 Fujifilm announces development of mirrorless camera system “GFX”— large sized sensor and large-diameter realize the highest image quality in the history of Fujifilm. FUJIFILM X Photokina 2016 Microsite is now open! 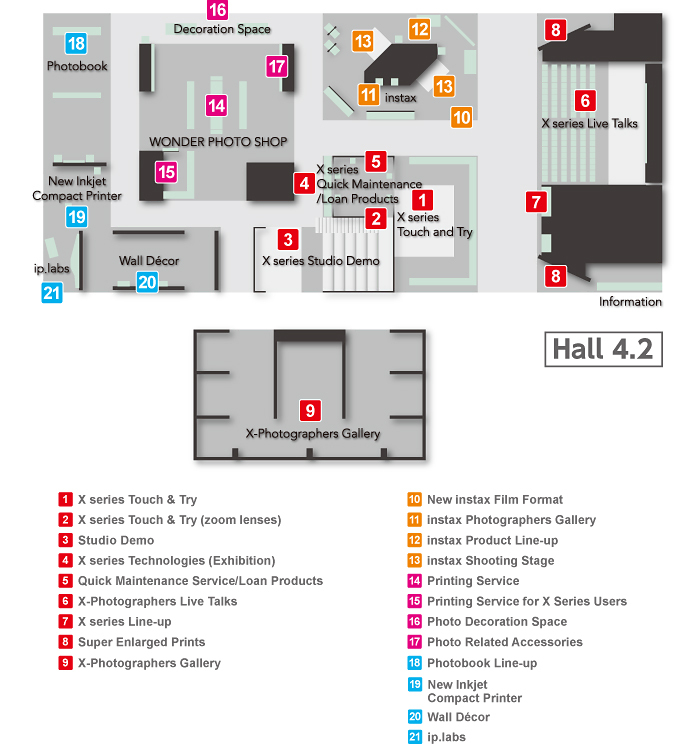 Photokina 2016 special page is now open. Tuesday, September 20 to Sunday, September 25, 2016 daily from 10.00 a.m. to 6.00 p.m.